Rodriguez, Stephanie Kirby, Rob Gettens, Dong Chen, Boone Thompson, Surachate Kalasin. From left to right: Pazit Bar, Yosef Ofir, Jun Zhang, Maria Santore, Jin Nam, Saugata Gon, Surachate Kalasin. 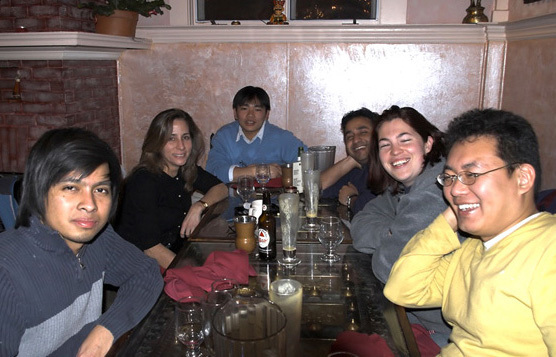 From left to right: Surachate Kalasin, Maria Santore, Bing Mei, Ranojoy Duffadar, Jessica McCoy, Jin Nam.